The differences between First Class and Standard Class seating. Types of night train sleeper compartments and couchettes. On-board catering, food and drink. The difference between normal TGV and double-decker TGV Duplex trains. 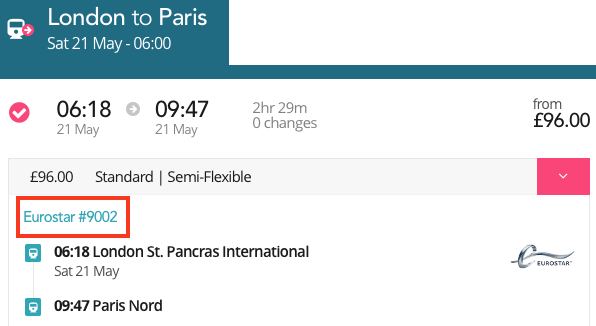 If you don't know the name of the train that you'll be travelling on, you can easily find this in your search results for each leg of your journey, as shown below. 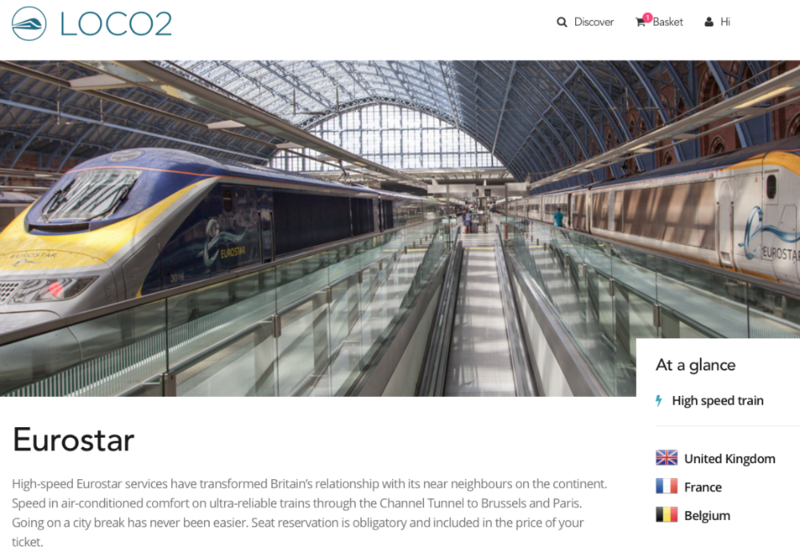 Once you know which train you are on, just run a search in our Discover content to find your train and learn about what facilities are available on your journey. We update the guides regularly, so if there is information that you can't find, please let us know and we'll be happy to help.